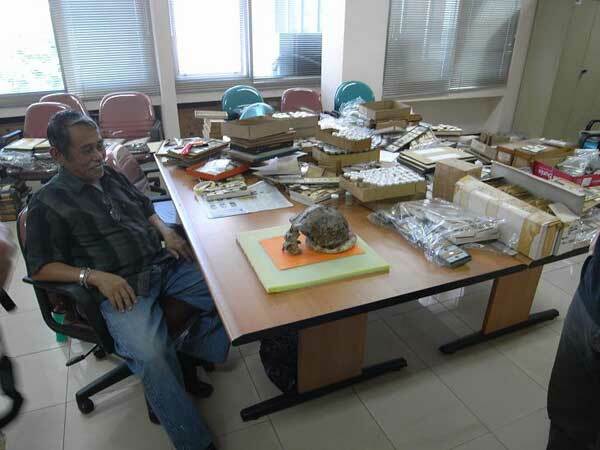 I investigate the Pleistocene Indonesian mammal fauna include early human. The work presented here deals with the study of fossil carnivore which were excavated from Sanbungmachan Sangiran, and Ngandon. It is important to study these fauna for understanding paleoenvironment and migration route of land mammals in Southeast Asian Islands. From the 23rd to 27th August, I visited Geological Research and Development Centre (Bandung). 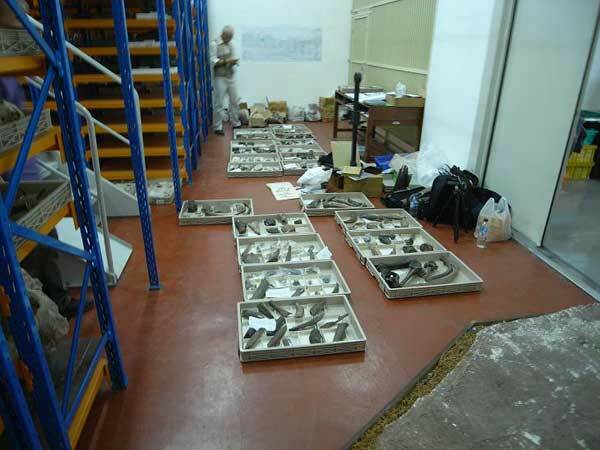 I took dental casts, photographs and measurements of 9 genera of carnivores including Hyaena, Tiger, Saber toothed tiger, and several number of middle to small sized carnivores. The preliminary result of dental observation suggests that the carnivoran assemblages from Java and Flores comprise much abundant taxa formerly known.